This might become a new thing for us. 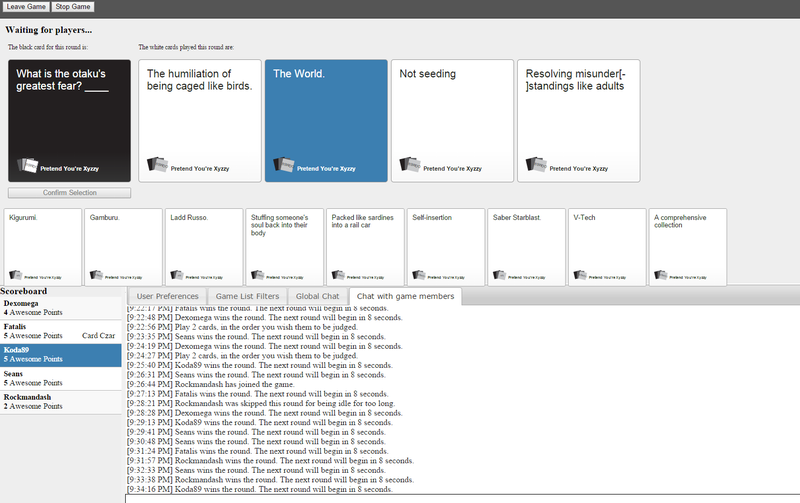 Skype Voice + Cards Against Humanity + Anime = Laughter. If you want more of this, be sure to join us on Skype (message me for get into the Ani-TAY chat: "dexomega").